A responsive, large-scale brochure website, with Investis integration. 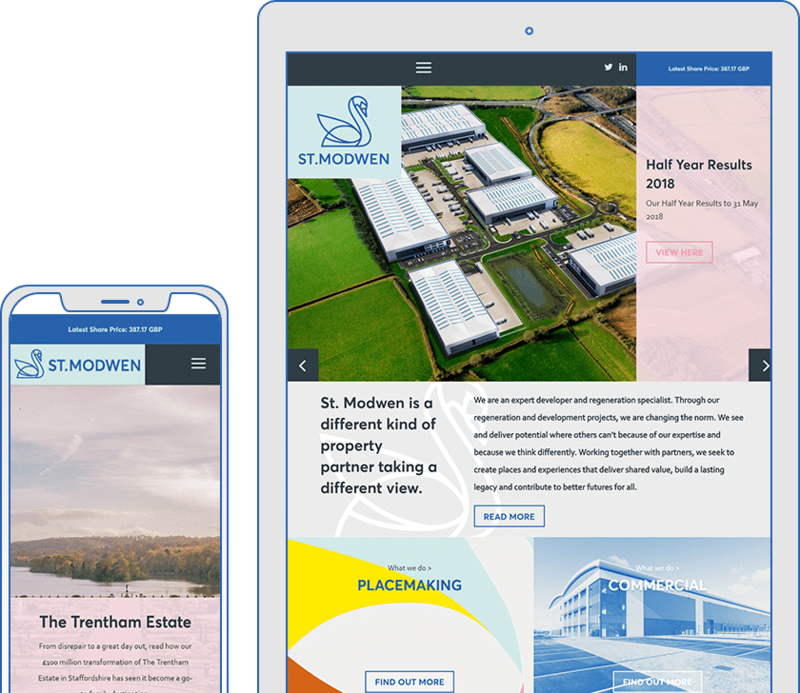 St. Modwen Properties PLC commissioned F8 to build their new website. Totalling over 70 pages, it required creation of a new look and feel to showcase their new brand. The website is designed to be responsive to different screen sizes, whilst adapting certain functionality depending on the device being used to view the website. St. Modwen is a FTSE 250 PLC, so their website needs to include integration of their Investis platform, which allows them to show their share price and other information in real time to shareholders.